TURIN, Italy -- A Rome labor court has told Fiat to hire 145 workers who are members of Italy's largest metalworkers union in the latest twist in a long-running dispute between the carmaker and the union over changes to working conditions. The Fiom-CGIL union said Fiat had excluded its members from recent hirings at the company's factory in Pomigliano, near Naples, which employs around 2,100 workers producing the Panda minicar. Italian law bans discrimination against unionized workers. Fiat was not available for comment. The case is the latest in a legal dispute between Fiat, Italy's biggest industrial group, and the union over the carmaker's decision last year to ask workers for more flexible conditions to reduce absenteeism and boost productivity. Fiom-CGIL opposed the plan and refused to sign a new contract with Fiat that incorporated the reforms. The union insists that its members still have the right to representation at Fiat's factories and, to obtain it, it has filed 61 lawsuits in 20 courts across Italy. Some courts have ruled in favor of Fiat, and others in favor of Fiom-CGIL. In April, a Turin labor court dismissed 21 appeals from Fiom, ruling the union did not have a right to representation. Fiat, which employs around 86,000 workers in Italy, is cutting its capital expenditure in Europe by half a billion euros this year because of a protracted market slump in the region caused by ongoing national debt problems and automaker's overcapacity. 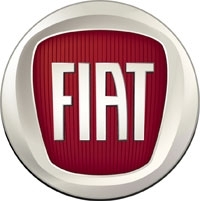 In the first five months, Fiat Group sales dropped 16.6 percent to 375,795 in the EU and EFTA countries, according to figures from the auto industry group ACEA. The total European market fell by 7.3 percent. The automaker, which owns 58.5 percent of U.S. carmaker Chrysler, has not slowed spending on vehicle development in the United States, which is now the main profit driver for the group.